Create beautiful nature silhouettes easily with our special “resist” art design. Makes painting with watercolor easy! 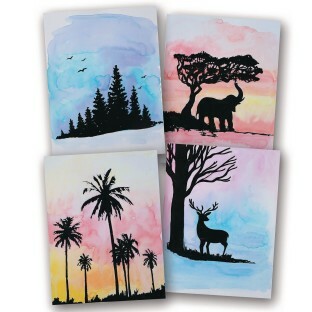 6 each of 4 designs: palm trees, evergreen trees, elephant, and deer. 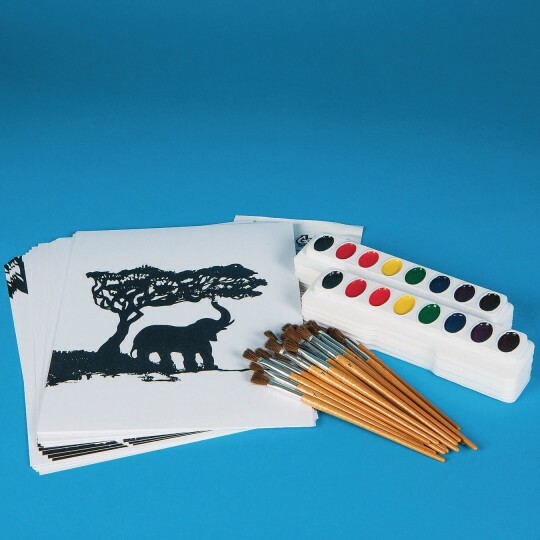 Includes watercolor paint, brushes, and instructions. Finished painting is 9” x 12”.